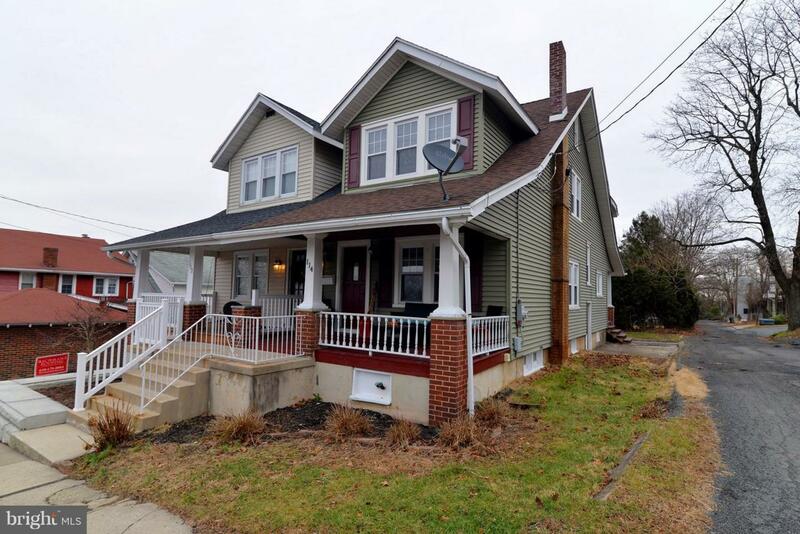 Welcome home to this wonderful Pottsville property! Looking for a home close to town, but not in the middle of town. Take time to look at this home. No homes across the street, and in walking distance to the play ground. Walk into a large great room, then the eat in kitchen, with a built in corner cabinet. Off the kitchen is a half bath with washer and dryer hook ups with built-in cabinets, lighting is on a motion sensor . Upstairs you will find 3 bedrooms, and the full bath. The attic is finished but needs heat to make a bedroom. Home has many replacement windows and heater upgraded in 2012, electric in 2005 and roof 2013. Parking for one car on the side of the home. Front porch has a great view over the town. Back porch was replace last year. Make your appointment today to see this great home!